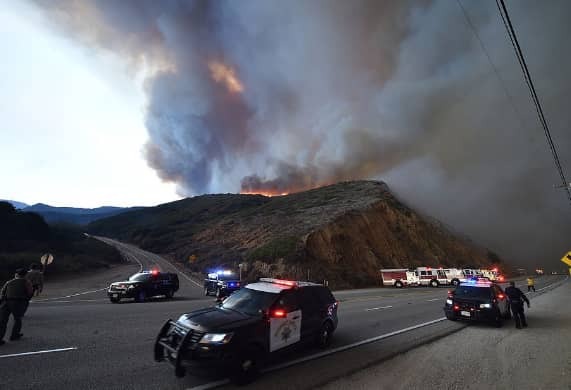 More than eleven people have died and another 35 are missing as a fierce firestorm scorches Northern California, while in Southern California thousands of homes are under siege and all of Malibu has been evacuated as two other wildfires bear down. The California Camp Fire has burned more than 100,000 acres and is at 20% containment as it ravages the state as the most destructive wildfire in its history. The fire has destroyed at least 6,713 homes, businesses and other structures. 80% to 90% of the homes in Paradise have been destroyed, according to CNN. More than 300,000 people from across the state have been forced to flee their homes, as the fast moving flames from the three fires that all started on Thursday have raced to cover more than 200 square miles.